Distinct sets of genetic defects in a single neuronal protein can lead either to infantile epilepsy or to autism spectrum disorders (ASDs), depending on whether the respective mutations boost the protein’s function or sabotage it, according to a new study by UC San Francisco researchers. Tracing how these particular genetic defects lead to more general changes in brain function could unlock fundamental mysteries about how events early in brain development lead to autism, the authors say. Research led by the Yale School of Medicine laboratory of Matthew W. State, MD, the Oberndorf Family Distinguished Professor and chair of psychiatry at UCSF, first demonstrated the link between autism and SCN2A, though others, including UCSF’s Lauren Weiss, had previously suggested a role for the gene in familial forms of autism. The study was published online Jan. 26, 2017, in Biological Psychiatry. As a graduate student and postdoctoral researcher at Yale University working in State’s lab, Sanders led collaborations that searched for autism-linked genetic mutations by conducting large whole-exome genomic screens of more than 4,000 autistic children and their families participating in the SSC and ASC consortia. In studies published in 2012, 2014, and 2015, State, Sanders and collaborators found that de novo genetic mutations — spontaneous mutations not inherited from parents — play a role in the development of ASDs in at least 10 percent of all cases of autism, many more than previously recognized. These studies led to the identification of 65 genes with a strong likelihood of contributing to autism when mutated and confirmed SCN2A as one of the top hits. The SCN2A gene — which was one of the first ASD-associated genes to be discovered by whole-exome screens — encodes a sodium channel protein called NaV1.2 that is crucial to neurons’ ability to communicate electrically, especially during early brain development. In addition to its strong association with autism, SCN2A had also previously been implicated in epilepsy. When Sanders came to UCSF in 2015, he began collaborating with neurophysiologist Kevin Bender, an assistant professor of neurology and co-senior author of the study, to examine the mechanisms of how mutations SCN2A alter neuronal function to lead to these two different diseases. Bender’s team measured how 12 SCN2A mutations observed in children with ASD affected the electrical properties of NaV1.2 channels in cultured human cells in the lab. As predicted, based on the mutations’ location on the protein, all 12 reduced the function of the sodium channel, but in a variety of different ways, ranging from stopping the channel from being made at all to simply blocking the pore through which sodium needs to flow for the channel to function. The researchers used this data to inform computer models of how the various channel mutations seen in children with ASD — as well as previously studied mutations seen in babies with infantile seizures — would impact the signaling properties of brain cells. 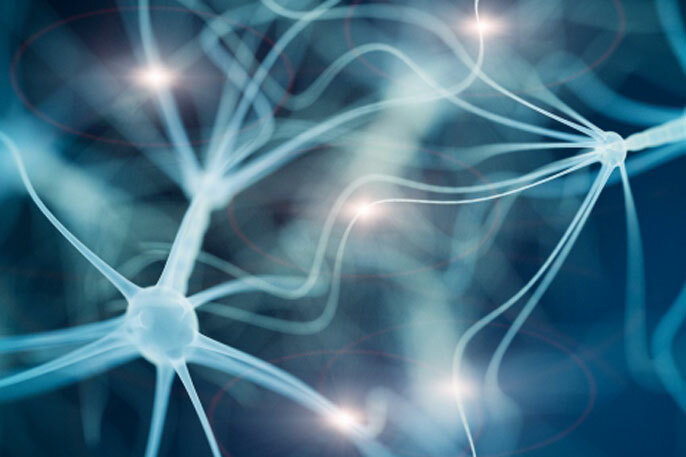 They found that unlike mutations observed in patients with infantile seizures, which made model neurons more excitable, the mutations seen in children with ASD made it much harder for model neurons to send electrical signals. Additional simulations of the effects of NaV1.2 defects on immature versus mature neurons indicated that autism-associated mutations would only have a major impact in the developing brain — since neurons transition away from relying on NaV1.2 channels as they mature — a finding consistent with the idea that the neurological changes that trigger in autism occur early in the womb or before one year of age, as previously proposed by State, Sanders and colleagues. Could SCN2A defects unlock autism’s mysteries? This study represents a first step in understanding how SCN2A mutations lead to autism and developmental delay, which the authors hope will both be immediately helpful to the families of patients with these mutations and also lead to better understanding of the mechanisms of ASD more generally. A key next step, the researchers say, is understanding whether the severity of autism and developmental delay can be predicted by the specific SCN2A mutation a patient has, research that will require close collaboration between scientists and families affected by these mutations. An active SCN2A patient group is helping to coordinate this via the website ‪www.scn2a.org in collaboration with the Simons Foundation Autism Research Initiative (SFARI), which provided major funding for the new study (SFARI 362242) alongside grants from the US National Institutes of Health (NINDS, NIMH). Additional authors on the paper were Caroline M. Keeshen and Joon Y. An, of UCSF, and Kiara N. Berrios of the University of Puerto Rico.